Modern technology has evolved to such an extent that now it is not difficult to download a movie or a cartoon. And the choice is huge. Surely, almost every user for downloading something has already used the torrent. Often you do not want to watch a movie on a personal computer, and even more so when you have a tablet at hand, with which you can conveniently lie on the sofa and enjoy viewing. But what if there is a situation where it is impossible to download a video to your computer, and you only have an iOS and Android devices in the form of a smartphone or a tablet. In fact, for such cases, there are ways to download files. In this article we will talk about them, especially there are not so many of them. 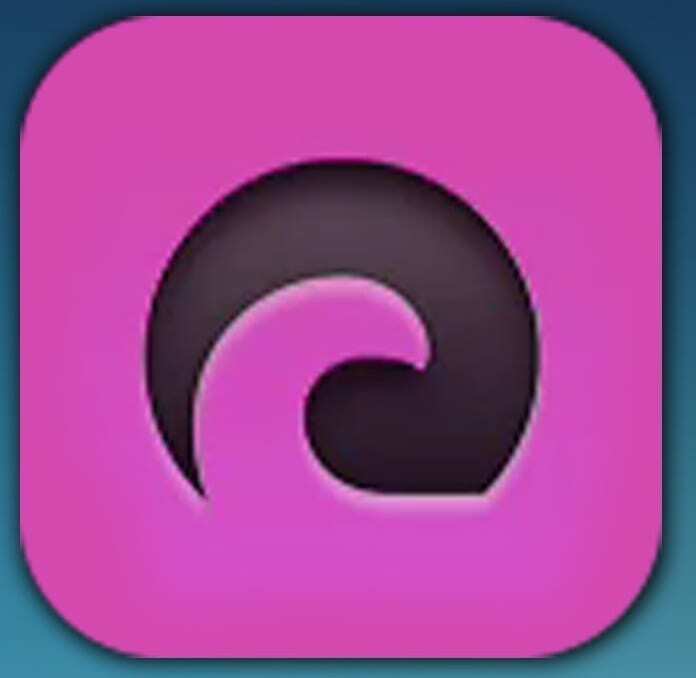 This is a mobile version of the most popular and convenient torrent client in the world. uTorrent is the official BitTorrent client for your phone from the creators of the BitTorrent protocol itself. Uploads are added directly from the browser, or from a previously downloaded file. There are three lists on the three tabs of the μTorrent interface: already downloaded torrents, being downloaded at the moment, and all at once in one list. In the settings, you can specify the limits for the speed of reception and feedback, as well as the port, autorun of the program when the device is turned on and some other parameters. The uTorrent is a free customer. The interface of the application is simple and very convenient, even a beginner can understand the work of the program, and an experienced user will appreciate the presence of fine settings. Rationally uses the width of the channel and allows it to be adjusted. Has a low memory consumption and a small program size. Search for torrent files in the Bit Torrent networks using the built-in browser for the phone. Setting the order of the download. Setting the speed limit distribution. Display the degree of the uploaded file using percentages, time and color bars. An intuitive interface with a familiar, convenient control panel. Completely missing restrictions on uploading files by number or volume. Function of registration of a subscription to RSS-tape and a work without restrictions in a mode of a background. A large number of pop-up ads. A serious load on the battery. uTorrent Remote is a useful application designed for the users of portable electronic devices working on Android. Do you often download multimedia files using uTorrent? Then, the program Torrent Remote is created specifically for you. The capabilities of this software allow in remote mode, with the screen of a mobile phone or tablet to manage file downloads on my desktop. To get access and make the download process faster can now anywhere in the world. For this, it is enough just to create an account, that’s all. The software features the ability to add, delete, stop and start torrent files in remote mode, control the progress of the download, check the RSS-channels. The interface is convenient and intuitive. The process of installing the application takes a few minutes, does not require complex manipulations and additional settings. The program will be useful for owners of mobile phones, smartphones, tablet PCs running on Android, which often download movies, music, and various sources on the Internet using torrent files. With it, you will accelerate the download speed and expand the functionality of your device. 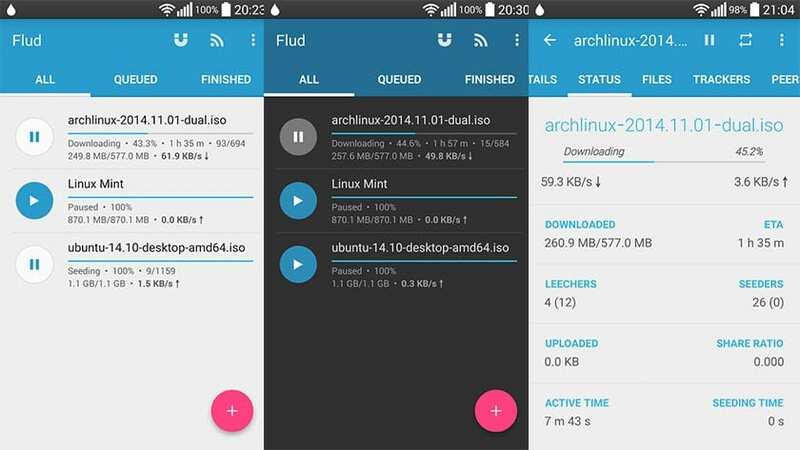 Flud is a convenient torrent client for Android, which differs from other similar software solutions a simple and elegant interface. Thanks to the latest, the program is really nice to use, and the usual location of functions and tools in the graphical shell will save time on its learning. Among the useful features of the application, we can select the presence of the Universal Plug and Play support, PeX and μTP protocol compatibility, selecting individual files from the distribution to download, set priorities for different torrents, work with magnetic links that the Flud can “pick up” directly from the browser and so on. Also, the client helps to save expensive mobile traffic and perform automatic downloading only when there is a Wi-Fi connection. Supports NAT-PMP, DHT, UPnP (Universal Plug and Play). Compatible with μTP (μTorrent Transport Protocol) and PeX (Peer Exchange). The possibility of sequential downloading (with the fast Internet, allows you to start watching a movie without waiting for its full download). You can configure the automatic transfer of files to another directory or to an external drive when the download is completed. Support for torrents with a lot of attached files. Interception of magnetic links from most browsers. Configurable: encryption, filtering by IP addresses, support for proxy servers for connection with torrent trackers and peers. Ability to allow data transfer only over Wi-Fi. Three themes of design (Light, dark, light with a dark toolbar). Modern (Holo) graphical user interface. The Flud is simplicity, style, convenience and smart functionality that works without problems on any device. Pleasant use! Free aTorrent application for the model of distribution and monetization does not differ from the Flud – the same free version with advertising and paid without it. This application does not limit the download speed in the free version. The functionality of the aTorrent program is not inferior to other competitors, even sometimes surpasses. For example, in this application, you can find many interesting settings related to downloading files. 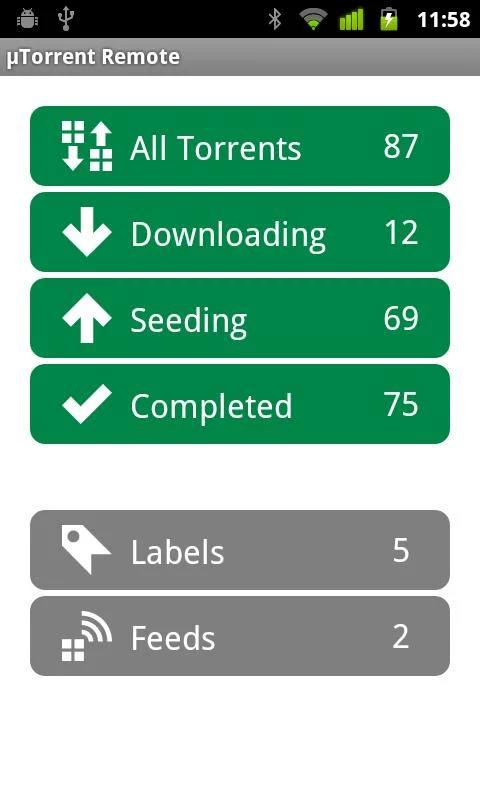 In addition to the usual manipulations such as speed limits, the aTorrent app includes connection settings with a choice of ports, support for multiple simultaneous downloads with “only Wi-Fi” mode, partial downloading of files from the torrent and support for large files (limited to 4 GB, if the entry goes to FAT32 ). Among the supported protocols: BitTorrent P2P, DHT, Advanced Bootstrap DHT, magnet-links, HTTP, and UDP-trackers. There is an integration with the notification panel, where the progress is displayed with constantly updated speed indicators. In addition, the aTorrent – is a fairly lightweight application that uses a minimum of resources, which positively affects the performance and battery consumption. For the latter, special settings are provided in the program. The distribution weight is very small – 7.4 MB. Allows you to download torrent files and magnet links. Allows you to select only the necessary files from the distribution. Torrent files can be opened both from the browser, and already downloaded. Torrentex – is quite a good download-client (although not the best in the review), allowing you to download the torrent on your phone or tablet. Let’s first talk about the strengths of the Torrentex application. First, this manager is free, does not contain advertising, allows you to handle torrents and control the speed of their download. And the download speed is unlimited, as well as the number of incoming/outgoing connections, the number of threads or torrents at a time. Both torrent and magnet links are supported, thanks to which you can download the torrent files. You can download torrents both on the SD-card of the tablet, and on the internal memory of your mobile device, at your own discretion. In addition, it should be noted the flexible and customizable interface manager – in particular, the Torrentex provides several themes for the design – dark and light options. Thus, this application for downloading torrents is not only convenient to use on tablets and smartphones, but it’s quite nice to the eye. In order to download a free torrent on Android, you must first understand the settings of the torrent manager. In addition, for the correct download of torrents to your phone, it is recommended to use the mobile browsers Chrome or Opera. Does not have a download/upload speed limit. Allows you to simultaneously upload and share multiple files. There are different themes (dark and light). Supports magnet-links, which can be shared. Has a mode in which downloads will occur only if there is an available Wi-Fi network. Allows the user to choose the folder in which the downloaded files will be saved, and also set the size limit for the downloaded files. Downloaded audio, video files are automatically displayed in the multimedia library. Performs all standard operations with downloaded files (moving, deleting, etc.). A convenient system for displaying the progress of downloading. 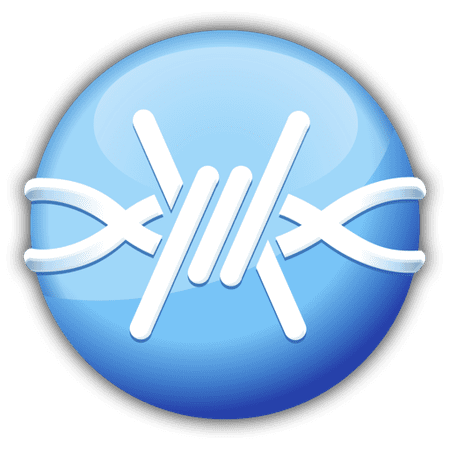 One of the most famous and good clients of the torrent on Android devices is FrostWire. This application is not a simple download manager for torrents. The FrostWire provides users with many convenient tools that will be useful in everyday life. The application contains a player, thanks to which you, without leaving the program, will be able to play downloaded video and audio files. In the FrostWire, you will find the opportunity to communicate and exchange torrent files. In the application, there is a built-in chat, thanks to which you will be able to communicate with other users. Also, you can share your torrents using both social networks and other devices connected to yours through a Wi-Fi network. The FrostWire supports downloading over Wi-Fi, 3G and 4G networks. In addition, using the application, you can search for the required files. The peculiarity of the search is that the results from several search threads are displayed. The application permits you to develop the maximum available connection speed. The client interface is convenient and competently optimized. Download from 4G, 3G and Wi-Fi networks. Publication of torrents in social networks, exchange via Wi-Fi. 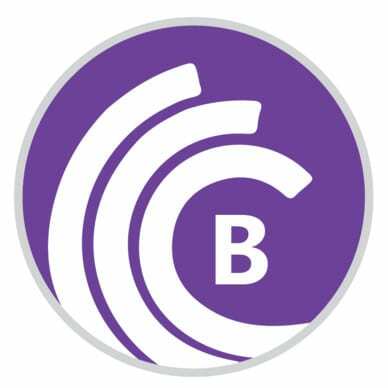 BitTorrent is an application whose name coincides with the name of the file download protocol. This application for Android will help you to download files from torrents directly to your mobile device, whether it’s a smartphone or a tablet. The program is free and, unlike some other free applications, the BitTorrent has no limitations in functionality. 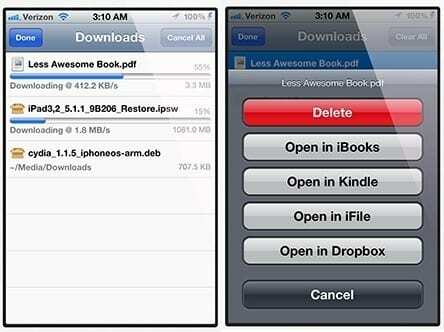 The application allows you to launch the download via torrent directly from the browser. All downloads are divided into three tabs – current, completed and all together. In the settings, you can set a limit on the speed of receiving and sending data to offload traffic for other programs. You can also adjust parameters such as the port for incoming connections and the autorun of the program when the device is booted. Setting the path for storing files. The ability to download individual files from the torrent. Simultaneous download of several torrents. The speed limit on uploading and retrieving data. Download only through a Wi-Fi network. The high speed of torrent loading with minimal load on the system. An extensive section of settings with the ability to choose the type of the network and the download folder. Possibility of setting restrictions on downloading and distributing torrent files. Advertising banner and occasionally pop-up ads on the whole screen. You cannot create your own distribution as in a similar program for Windows. 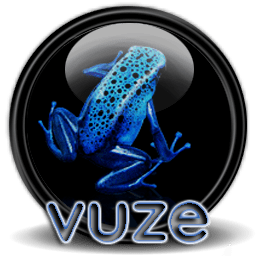 Vuze – is a mobile version of a fairly popular software solution for downloading torrents. The application makes it possible to comfortably manage downloaded torrents, download individual files from the distribution, assign priorities to downloadings, limit download and upload speed, and search for various content without leaving the program. The client can automatically associate with all torrent files downloaded to the device and even “pick up” magnetic links from the browser. The developers did not forget to provide the program with the popular option of automatically start the download when there is a connection via Wi-Fi. That is, while you are using expensive mobile Internet, all downloads will be paused, but once the Vuze detects an accessible access point, the client connects to it and resumes all downloads. The program also actively uses the system of pop-up notifications, notifying the user about the completion of the download and the problems that have arisen. You can also monitor the current state of downloads with the help of the widget for the desktop. The graphical shell of the Vuze is practically unremarkable, it consists of a window with a list of torrents and a toolbar located along the upper edge of the screen. Thanks to this simplicity, the program perfectly “looks” on both smartphones and tablets of various sizes. Full encryption of the protocol is implemented. Dependence on the tracker is significantly reduced due to peer exchange technologies and distributed DHT hash tables, as in the case of BitComet. Technologies UPnP, NAT Port Mapping Protocol improve the functioning of local networks. Supported magnet links – links to p2p-content. Work with Unicode and IPv6. Super-seeding mode for the appearance of more distributors. The disk cache can be adjusted. The client can work through a proxy server. There are some restrictions for loading and shipment. The iTransmission program permits you to load files to any iOS device. It includes an excellent set of options and an intuitive interface. The main feature of this torrent client for the Apple mobile platforms is that it has the most complete functionality that even some clients for PC cannot boast. With it, you can not only download files and create torrent files but also perform a large number of additional functions, for example, to search for the necessary files. The program has a simple and intuitive interface, providing a large selection of user settings. The presence of streaming playback, which permits you to watch movies or listen to music without waiting for the full upload of files. Has a positive effect on saving gadget memory. Ensuring complete confidentiality due to the availability of modern data encryption protocols. A small weight of the program. In the device memory, this application takes only a few megabytes. Ability to install the download queue manually. So, this automatic mode is very convenient when downloading serials or music from one album. The practically complete absence of failures in the presence of a stable connection to the Internet. Among other things, it should be noted that this torrent client for iOS can only install the owners of the iPad and iPhone with a jailbreak since Apple is very negative about the distribution of files through torrents. 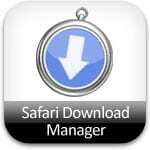 Safari Download Manager is a new application in the Cydia Store, which adds a download manager to the mobile phone browser. Its trick is that it integrates into your standard browser on iPhone/iPod – Safari! The application allows you to download multiple files at the same time and create a download queue. To start the download, click on the icon with the same name, which will be added to the bottom menu of the browser. With the settings, you can select the file extension for saving and playback in the browser. The files are downloaded to the directory “/private/var/mobile/Library/Downloads”. The program is available in the BigBoss repository. How to download files to the iPhone, including YouTube videos? With the help of Safari Downloader +, which, for quite impressive 3,5 American dollars, will add much-needed functionality in Safari. 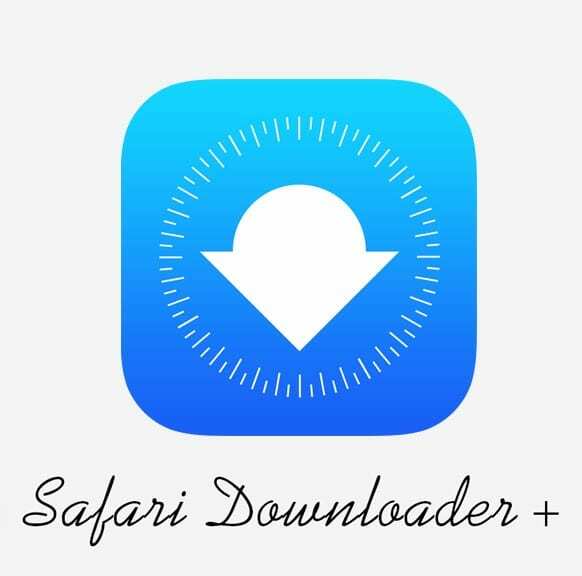 The tweak allows you to enable or disable each type of download individually, as well as an impressive list of supported files. There is a support for iPhone and iPad, iOS 7 and iOS 6. A large list of supported files. Notification of active downloads using badges. Save downloads to the Downloads folder. Notifications about the completion of downloads. Support landscape and portrait modes. The tweak will cost you $ 3.5. That’s the amount of utility in the BigBoss repository. However, if you need to download files directly from your iPhone, the tweak definitely costs this money. It’s hard to find a user who has never downloaded a torrent in his life, and most people use it every day, downloading the information they need from the Internet. Until recently, iOS did not have a full torrent client, which would allow downloading and viewing the contents of downloaded torrents directly on the iDevice. Recently, a talented developer announced a program that will not only allow downloading torrent files to your iDevice without the need for jailbreaking but also be able to open video files and play them until the download is complete. The application itself was first demonstrated at the TechCrunch Hakathon conference, which was held in New York. The developer Sohali Prasad creating NowStream came to the conclusion that the censors are unlikely to miss such a torrent client and decided to make a web version. Thanks to this, the application will run on absolutely any iGadgets. The NowStream will allow you to download torrents directly to your device, and if a video file is loaded, you can start browsing until the download is complete. It is worth acknowledging that not every torrent client for PC is capable of this. Unfortunately, there is no specific release date of the NowStream yet.